A WAR of words has erupted between the state’s fire chief and the firefighters’ union over accusations fire crews who were closer to jobs were being overlooked because management wanted to keep their figures down in a bid to close them. Fire and Rescue NSW Commissioner Greg Mullins has felt the wrath of the union since he announced on Monday that Holmesville fire station would lose its full-time night shift to on-call firefighters because figures justified the resources be placed anywhere. 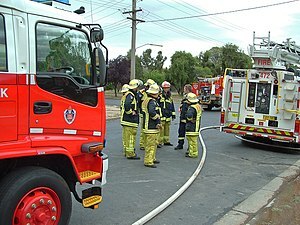 Read full article: Firies at odds over cuts | Newcastle Herald.